Busy day today as we have friends coming over for dinner, lots of housework and food prep going on. 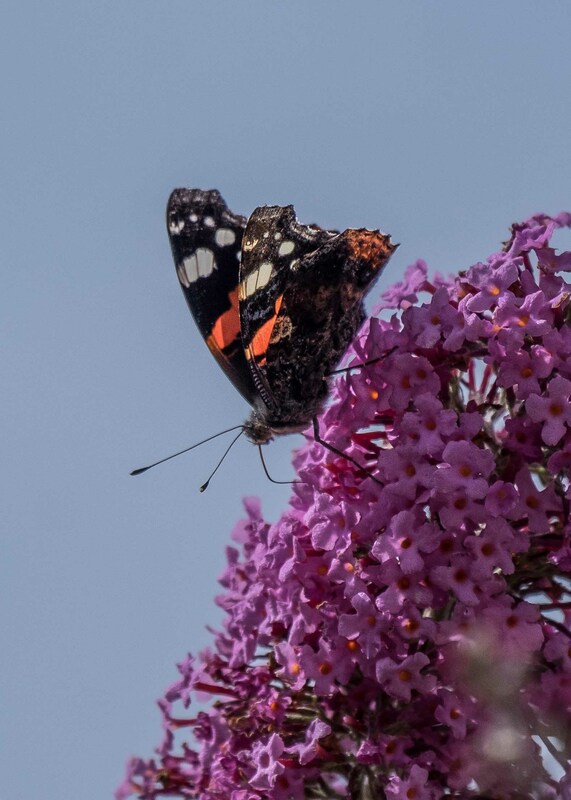 Still time to catch some butterflies which have finally turned up on my buddlea. A red admiral and a large White! 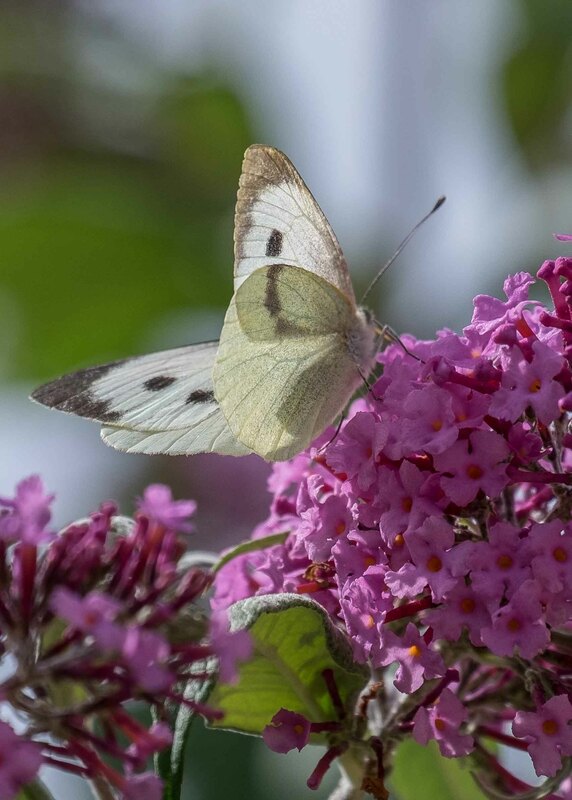 Butterflies have shown an amazing range of color preference between the various species, but as a general rule, flowers that are white, pink, purple, red, yellow and orange attract the most butterflies. Blue to green flowers are universally the least favorite flower color. Some evidence indicates that butterflies may learn which color flowers tend to produce their favorite types of nectar, using color as a visual cue when hunting for these plants. Posted in 366, colours, Fuji, fujiXT1, photography, uncategorisedTagged 366, Buddlea, butterflies, colours, day218, flowers, fraggle, Fuji XT-1, Large White, photography, Red AdmiralBookmark the permalink. Great butterfly shots indeed, FR. I had one of those plants years ago, and it was always covered in them. maybe they have been waiting for it to warm up in the north-east? Summer and color – the two go together! I don’t know if you also call the buddliea a butterfly bush, but that is their common name here. Seems appropriate, don’t it? 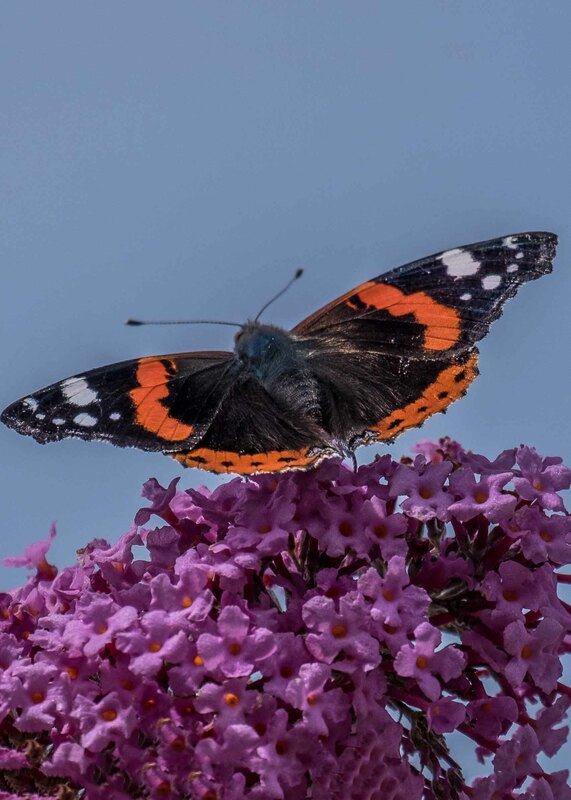 I’m not sure, I know in USA it’s a butterfly bush but only ever heard of it as Buddliea here. Wondered where you’d got to, hope you’re well! I wonder if the reason there are so few green and blue flowers has something to do with the preferences of butterflies. I have some green flowers on my desk – I spent much of the afternoon looking at them and continuing to wonder! Green flowers? I have not come across any, at least any that I can remember. haha, attack of the giant butterflies! Oh yes, a zoom lens makes sense! I almost never see these creatures stay still, so I’m very impressed! I might if I get time, now I’m retired I am very busy lol. hah.. u kid.. im more busy now than when i drove school bus.